Given todayï¿½s increasingly competitive insurance marketplace, with insurance companies, agents all competing to sell products to consumers, we must examine ways to optimize our sales ability. 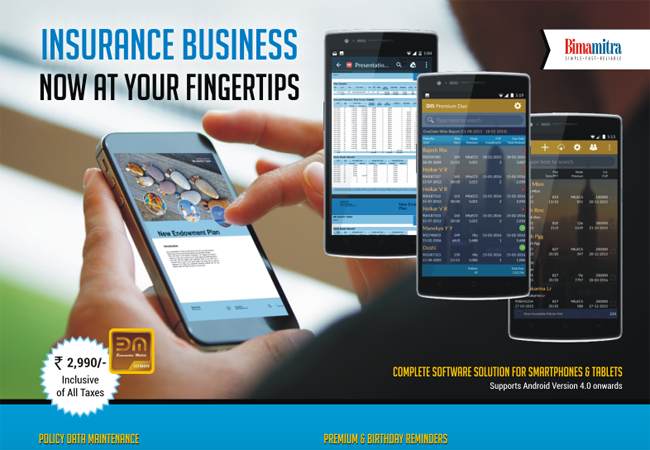 Mobile devices, if leveraged properly, can provide insurers with a competitive advantage, and increased sales productivity and market share. 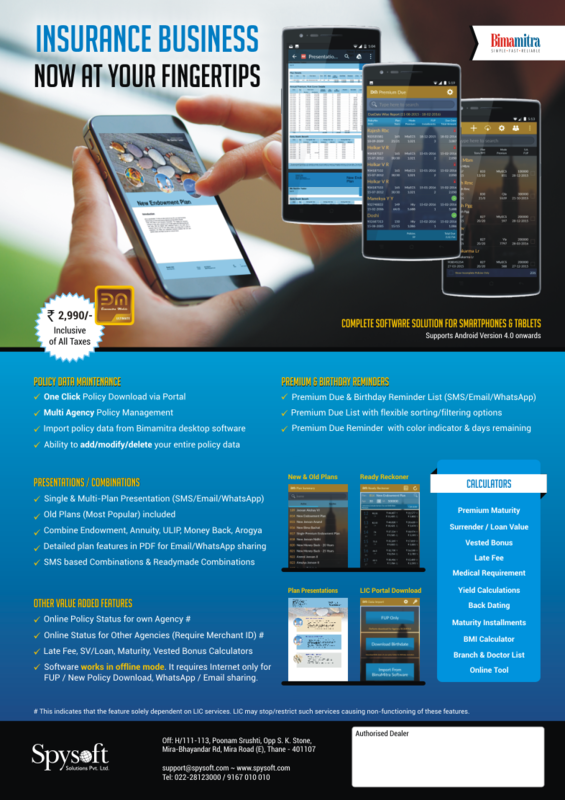 By launching our new product BimamitraMobile ULTIMATE, Spysoft has made the technology cost effective and within reach of the Insurance Agents. Download this .APK file & install it in your android Mobile in order to run BimamitraMobile ULTIMATE version. Creat Multi-Plan Presentations combining plans of your choice. Reverse Calculate Sum Assured by entering Maturity or Prmeium. Share your Presentations through Email & Social Media. Save time by duplicating plan records in multi-plan presentations. Automatically saves all your Presentations. Maturity in installments can be shown in Cashflow. Transfer Presentations from Mobile to laptop/desktop and vice versa.